Fiona is a practicing GP who established the Cancer Group in 2009. She leads the Cancer Research UK-funded flagship international CanTest Collaborative, with partners across institutions in the UK, Denmark, Australia and the US. CanTest is developing strategies that explore and accelerate improvement in cancer outcomes nationally and internationally through the transformative implementation in primary care of triaging and testing approaches to support early detection of cancer (www.cantest.org). Other current projects are investigating skin, upper GI, brain and urological cancers. These include: the NIHR-funded MelaTools Programme (aiming to optimise early diagnosis of melanoma through GP and patient-centred approaches), the CRUK-funded ECASS trial (evaluating computerised clinical decision support for symptoms of upper GI cancer), the MRC-funded POSTCARD study (using mixed methods to understand the patient pathway to upper GI cancer diagnosis), and The Brain Tumour Charity-funded BRAcED study (an in-depth qualitative study of patients newly diagnosed with brain cancer). She has over 125 publications in peer-reviewed journals, and collaborates with primary care researchers across the UK, Europe and Australia. 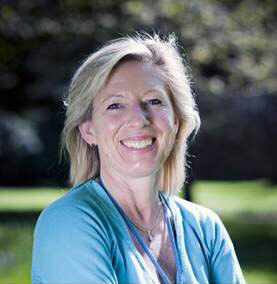 Fiona chairs the Early Diagnosis sub-group of the NCRI’s Primary Care Clinical Studies Group (CSG) and sits on a number of national and international advisory and funding committees. She is Honorary Clinical Associate Professor at the University of Melbourne and the University of Western Australia. Emery JD, Gray V, Walter FM, et al. The Improving Rural Cancer Outcomes (IRCO) Trial: a cluster-randomised controlled trial of a complex intervention to reduce time to diagnosis in rural cancer patients in Western Australia. Br J Cancer, 2017 Sep 19. doi: 10.1038/bjc.2017.310. Usher-Smith JA, Kassianos A, Emery JD, Abel GA, Teoh Z, Hall S, Neal RD, Murchie P, Walter FM. Identifying people at higher risk of melanoma across the UK: a primary care based electronic survey. Brit J Dermatol, 2017;176(4):939-948. doi: 10.1111/bjd.15181. Zhou Y, Abel GA, Hamilton W, Pritchard-Jones K, Gross CP, Walter FM, Renzi C, Johnson S, McPhail S, Elliss-Brookes L, Lyratzopoulos G. Diagnosis of cancer as an emergency: a critical review of current evidence. Nature Rev Clin Oncol, 2017;14(1):45-56. doi: 10.1038/nrclinonc.2016.155. Walter FM, Mills K, Mendonca S, Abel G, Basu B, Carroll N, Hamilton W, Rubin GP, Emery JD. Symptoms and patient factors associated with diagnostic intervals for pancreatic cancer (SYMPTOM pancreatic study): a prospective cohort study. Lancet Gastroenterology and Hepatology, 2016;1(4):298-306. doi: 10.1016/S2468-1253(16)30079-6. Walter FM, Emery JD, Mendonca S, Hall N, Morris HC, Mills K, Dobson C, Bankhead C, Johnson M, Abel G, Rutter M, Hamilton W, Rubin GP. Symptoms and patient factors associated with longer time to diagnosis for colorectal cancer: results from a prospective cohort study. Brit J Cancer, 2016;115(5):533-541. doi: 10.1038/bjc.2016.221. Hamilton W, Walter FM, Rubin G, Neal RD. Improving early diagnosis of symptomatic cancer. Nature Reviews Clin Oncol, 2016;13(12):740-749. doi: 10.1038/nrclinonc.2016.109. Usher-Smith JA, Emery J, Hamilton W, Griffin S, Walter FM. Risk prediction tools for cancer in primary care. Br J Cancer. 2015;113(12):1645-50. Walter FM, Rubin G, Bankhead C, Morris HC, Hall N, Mills K, et al. First symptoms and other factors associated with time to presentation and diagnosis and stage at diagnosis of lung cancer: a prospective cohort study. Brit J Cancer. 2015;112 Suppl:S6-S13. Rubin G, Berendsen A, Crawford SM, … Walter FM et al. The expanding role of primary care in cancer control. Lancet Oncol. 2015 Sep;16(12):1231-72. Walter FM, Birt L, Cavers D, Scott S, Emery J, Burrows N, et al. ‘This isn’t what mine looked like’: a qualitative study of symptom appraisal and help seeking in people recently diagnosed with melanoma. BMJ Open. 2014;4(7):e005566. Banks J, Hollinghurst S, Bigwood L, Peters TJ, Walter FM, Hamilton W. Preferences for cancer investigation: a vignette-based study of primary care attenders. Lancet Oncol. 2014;15(2):232-40. doi: 10.1016/S1470-2045(13)70588-6.